Valent and Gowan have released a supplemental label for Venom and Scorpion (dinotefuran). This expands the use of this insecticide to a wider range of crops, including peaches/nectarines and grapes (Venom only). 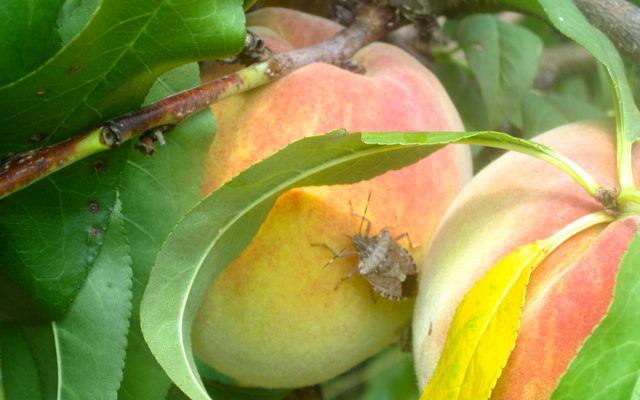 Previously, Rutgers along with neighboring states, applied and received a Sect 18 special use exemption for dinotefuran for Brown Marmorated Stink Bug control. This product has a 3 day PHI in peach/nectarine and a 7 day PHI in grapes (Venom only), making it a good late season/pre-harvest compound for BMSB management. However, the label rate is below rates we have evaluated at RAREC. While it may be effective at this rate, we will be applying for a Sect. 18 for higher use rates against BMSB. Please see label for specific instructions, always follow the label!